TurboTax is a tax preparation software that allows users to file federal and state income tax returns online. The service was created by software developer Intuit with a step-by-step guide to tax filing so that even those with no previous tax knowledge can familiarize themselves with the system. It starts by asking users to provide data such as their occupation, number of children, charitable donations made, whether or not they own a home, and other similar information. TurboTax can also automatically fill up tax forms – users simply need to take a photo of their wage and tax statements and the system will input the data by itself. Calculations made by TurboTax are said to be completely accurate and is backed by a service guarantee so that users can secure their respective tax refunds as fast as possible. TurboTax is always up-to-date with the latest tax laws, such as those related to health care and the like. The system conducts thousands of error checks on-the-fly and double checks extensively prior to filing via CompleteCheck™. All these verification measures assure users that their computations are accurate and error-free. In the event that a TurboTax calculation error results to an IRS or state penalty, the developer will shoulder the damages and even add interest. User reviews attest to how TurboTax is easy to learn and use for any tax requirement. Its straightforward functions allow even those without tax knowledge to easily familiarize themselves with the system. The software’s intuitive interface makes tax filing less time consuming. Users can connect with a live TurboTax expert with the SmartLook™ feature. This allows personnel to even draw on a user’s screen to guide with tax-related queries. If an audit comes up, users can also get a free one-on-one audit walkthrough from a TurboTax expert. TurboTax Audit Defense also provides full audit representation for a minimal additional fee. With TurboTax’s electronic tax filing capabilities, users can receive their fastest tax refund possible, guaranteed. They can also save on time with the software’s document capturing capabilities that can automatically fill up tax forms. TurboTax has a cloud-hosted, mobile option so that even those on the go can easily review their documents. Strict security measures, such as secure encryptions and password guidelines, are implemented so that users’ data are not compromised. If you are considering TurboTax it could also be a good idea to analyze other subcategories of Best Tax Software gathered in our base of B2B software reviews. Every enterprise has different needs and requires a system that can be customized for their size, type of workers and buyers, and the specific industry they are in. For these reasons, no platform can provide perfect tools out-of-the-box. When you try to find a software system, first be sure what you want it for. Read some TurboTax reviews and ask yourself do you want basic features or do you need complex functionality? Are there any industry-specific features that you are seeking? Obtain the answers to these queries to aid your search. There are plenty of elements that you need to mull over and these include your finances, particular business needs, your organization size, integration needs etc. Take your time, check out a few free trials, and finally choose the app that presents all that you require to boost your organization effectiveness and productivity. We realize that when you make a decision to buy Tax Software it’s important not only to see how experts evaluate it in their reviews, but also to find out if the real people and companies that buy it are actually satisfied with the product. That’s why we’ve created our behavior-based Customer Satisfaction Algorithm™ that gathers customer reviews, comments and TurboTax reviews across a wide range of social media sites. The data is then presented in an easy to digest form showing how many people had positive and negative experience with TurboTax. With that information at hand you should be equipped to make an informed buying decision that you won’t regret. 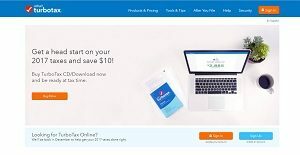 What are TurboTax pricing details? What integrations are available for TurboTax?